The Role of B-3 Service Coordinator is needed for the site(s) where the Early On students have enrollment in order for the User to be selected within key areas of the IFSP process. Any permissions for an Early On provider should be added to the B-3 Service Coordinator Role. Most of the features available in Early On allow different levels of permissions. 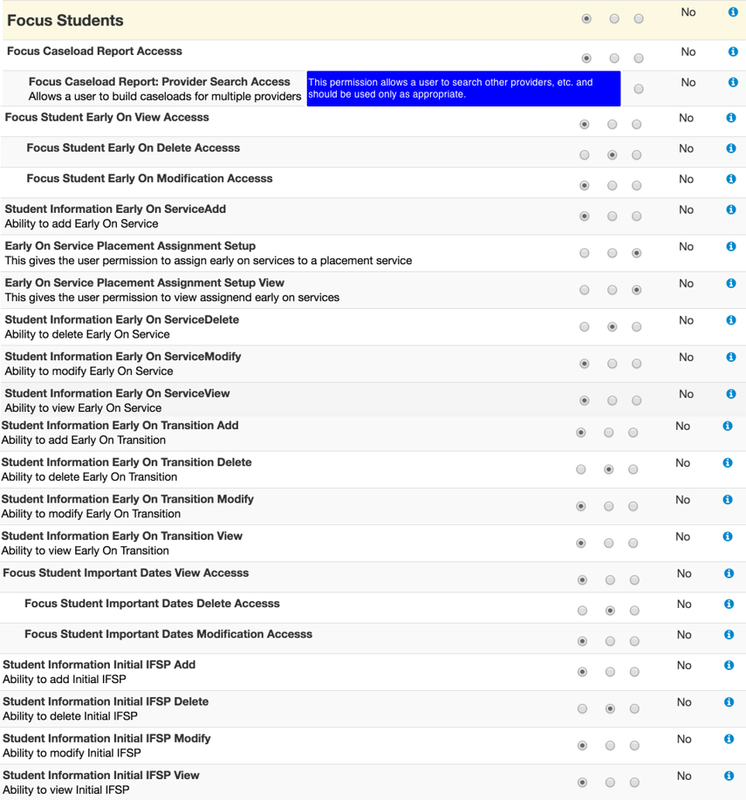 Please keep this in mind as you add permission(s) to specific roles as it may be beneficial for a Early On Service Provider/Coordinator to view the Early On Status Page but not be able to edit/delete information on this page. 1. Be sure to verify that you have selected the overall permission in addition to the individual permissions connected to the feature. 2. If you would like the permission on select YES. If you would like it off select No. Note: If the permission is set to Default the permission will be on or off based on what is shown in the Default Value Column.